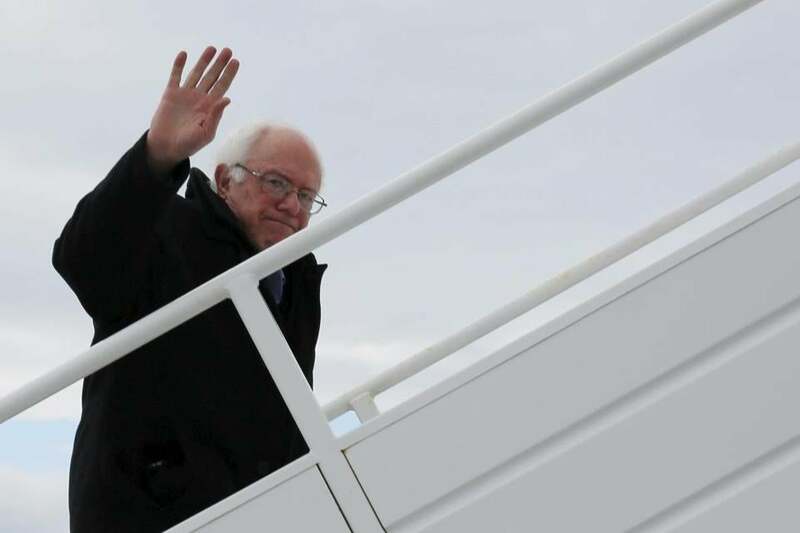 Senator Bernie Sanders waved as he boarded a plane in Vermont Wednesday to return to the campaign trail after Super Tuesday. Tuesday’s Massachusetts Democratic primary revealed something surprising about Bernie Sanders: The self-proclaimed democratic socialist lost like a Republican. Town-by-town, the map of yesterday’s contest looks like a Sanders blowout, a western sea of Bernie victories with a mid-sized archipelago left for Hillary Clinton. The trouble, for Sanders, is that most voters live on those Clinton-friendly eastern islands. This “Greater Boston vs. everywhere else” breakdown resembles a general election more than a primary, with Sanders playing the part of a Republican candidate like Scott Brown. Exit polls reinforce the idea, showing that Sanders did well with the right wing of Democratic primary voters, including independents and moderates. Here’s the town-by-town map, with Sanders’ strongholds in blue and Clinton’s in green. You can see how utterly dominant Sanders was across Central and Western Massachusetts. The last competitive Democratic primary was quite different. In that race, between Clinton and Barack Obama, Clinton dominated the town-by-town map, particularly in Central Massachusetts and the southeast. Greater Boston was split north and south, while Obama carried a larger section of the West. Despite daunting delegate math, top advisers to Sanders said the senator would fight on until the summer. If anything, yesterday’s map looks more like the 2012 Senate race between Democrat Elizabeth Warren and Republican Scott Brown. There, Warren dominated Greater Boston much the way Clinton did yesterday, while Brown matched Sanders’ dominance of Central and Southeastern Massachusetts. The big difference is in Western Massachusetts, a Sanders stronghold that gave no ground to Brown. 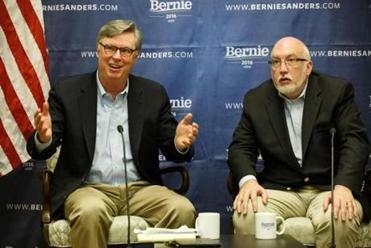 It may seem strange that a liberal force like Sanders would find his Massachusetts electoral fortunes loosely mirroring those of a Republican like Brown. Yet, the exit polls show that Sanders did quite well with a number of demographics traditionally associated with the Republican Party — or at least outside the core Democratic coalition. Sanders won big with independents, 66 to 33 percent. He beat Clinton among moderates, 54 to 45 percent. And while he eked out a win among whites, he lost by nearly 20 percentage points among nonwhites. To be sure, it’s important not to put too much weight on these kinds of comparisons. Town-by-town maps can be quite misleading, because some of these little shapes are tightly packed with voters, while others are mostly empty. And no comparison of Sanders’ performance with Brown’s can look past the fact that we’re talking about quite different voters: Democratic primary voters in one case, general election voters (including Republicans) in the other. Still, looking at a statewide map can help clarify the forces behind Sanders’ loss — and explain why his national campaign has probably peaked. While Sanders’ call for a political revolution may have excited young, white voters, he’s failed to make sufficient inroads with a more diverse constituency — the kind you find in Clinton-swinging Boston, and the kind that is so central to the Democratic Party. Clinton,Trump are the presumptive nominees. Get used to it.